In contrast to cities like Shanghai, Suzhou enjoys a landscape of fairly low-rise buildings, green leafy parks and a canal system that winds its way through the city. The city itself and outlying area has about 10 million people and is a bustling metropolis that is the best of new and old China. Suzhou boasts buildings over 2,000 years old while modern cutting-edge skyscrapers glimmer in the distance. Suzhou was listed as one of The 50 Best Places to Travel in 2017 by Travel + Leisure and is the only city in China listed in the top 50 on this this list. Suzhou is a beautiful and historic city. It is located in the south-east of Jiangsu Province. On the map it can be found half way between Beijing and Hong Kong and nowhere near Singapore, but very close to Shanghai. SIP’s train station has a high-speed train to the center of Shanghai, taking just 25 minutes to reach the city. Shanghai boasts tennis tournaments, grand prix, top flight soccer, museums, art galleries, theatres, musicals, and world class dining. The weather is mild with four distinct seasons. The temperature peaks in July when we are not here. Spring and Autumn are very pleasant. Winter is not too cold, and with breaks for Christmas and Chinese New Year, there is always the chance to retreat to warmer climates. PLANES - There are three international airports within two hours of the city center. TRAINS - Three main national train stations provide high speed rail service across China. Suzhou is also interconnected through a vast system of underground subway trains, with a stop near our school. AUTOMOBILES- Taxis and Didi (China’s ride-sharing app available in English) are easily accessible and cheap. Obtaining a driving license and car can be accomplished as well. There are shopping malls with international chains such as Sam’s Club, Walmart, Auchuan, Carrefour, and IKEA. Every type of restaurant can be found from Argentinian, Australian and US steak houses to charming Italian bistros and killer Mexican fare. Of course, all different types of Chinese are available to try from traditional Suzhou fish to spicy Szechuan to Cantonese. And if eating out isn’t your thing, restaurant delivery is commonly used and available for most restaurants. We are lucky to have several expat grocery delivery services available making it is possible to get international groceries delivered without ever having to go to a store. There is always something to do on the weekends and at night. 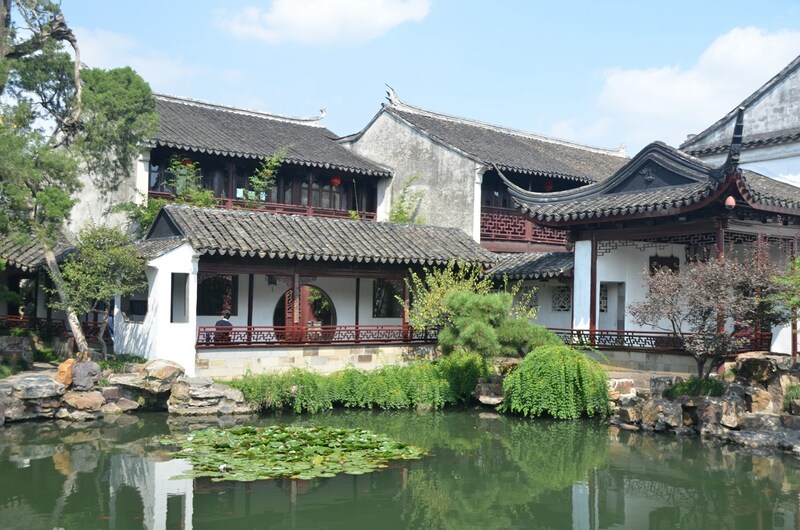 Suzhou is full of arts, culture, parks and recreational outlets. Residential areas are regularly punctuated by parks and gardens. The Suzhou Arboretum is about 10 minutes on bike from the school. The Cultural Arts Centre boasts performances from Austrian choirs, German orchestras, English drama companies and all kinds of local talent. A new Suzhou Sports Complex is under development and will hosts all types of major sporting events. It has lured many Fortune 500 companies and is a recreational spot for locals and expats. It has a shopping and entertainment district named Times Square, a London Eye–like Ferris wheel, multiple Western and Asian restaurants, bars, theaters, and a concert hall, plus colorful musical fountains on Jinji Lake at night—and it’s all just a 20-minute subway ride from the heart of Old Town. Over the next two years, W Hotels, Sheraton, and the Luxury Collection join a stampede of Western hotel brands that include the stylish Tonino Lamborghini, a Hilton, and a Hyatt Regency.